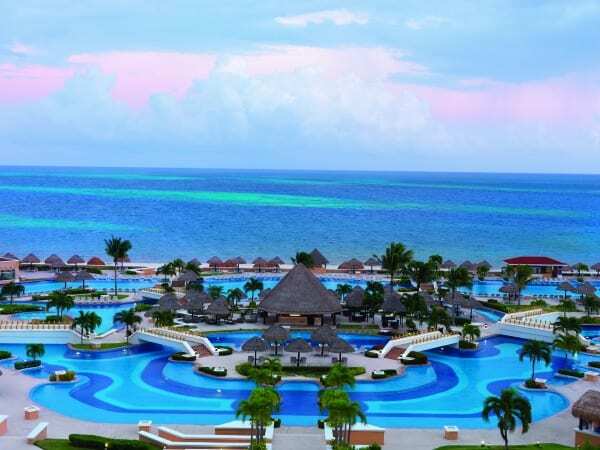 For those TBEX Cancun attendees who are not staying at the Moon Palace Resort, our sponsor, Best Day, has arranged a shuttle that will provide transportation to and from a few more areas. If you aren’t staying at one of the locations below, we recommend that you connect with other attendees at your hotel and take a cab to the nearest shuttle stop. The shuttles will drop off at the Sunrise Tower at Moon Palace. The Moon Palace Arena (our meeting venue) is a short walk away. Shuttles will pick up from this same location for the return trip. TBA – We’re working on getting an additional shuttle later in the evening so you can enjoy a last night of celebration and networking with fellow attendees. We’ll update the schedule when it’s confirmed. For Airport Shuttles, Taxis, and Excursions, see the Concierge Desk found outside Ballroom C at the Moon Palace Arena. I will be arriving in the evening on September 10th. Any suggestions on transportation to the Moon Palace resort if Best Day will not be there that day? Thanks! I just booked our airport to Moon Palace hotel round trip via Best Day on their website. It was a simple process so try that. They do have shuttles available on the 10th. Thanks for sharing! Are there shuttles for the 9/10 Pre-BEX events? There are not scheduled shuttles outside of that schedule. However, some of the tours have a variety of pick up options. When your tour operator contacts you, find out what options are available. Thanks for the response! I had just expected contact info by this point but I’ll wait another few days. Hi Barb, thanks for the tip! I just booked with them 🙂 Got a little worried there for a second! Where in the Moon Palace do we go to catch the shuttle? The portico outside the main lobby of the Sunrise Towers.